Thomas Gross (DOB: 04/16/1954), suspect in the January 2012 murder of his mother Ina Gross is back in Manatee County. 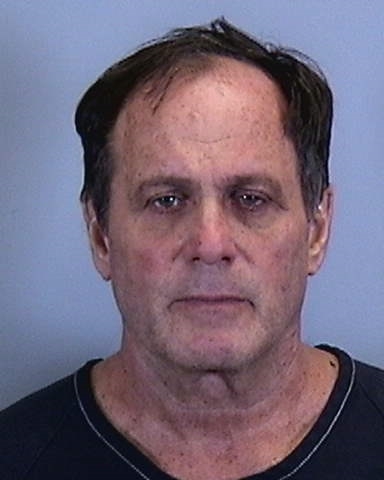 He was extradited from Tel Aviv, Israel (yesterday) 04/05/19 and booked in the Manatee County Jail. On 11/10/17 Gross was arrested by law enforcement in the city of Herzliya, Israel. He had been indicted on charges of premediated first degree murder by a Manatee County Grand Jury in March of 2015. Gross a resident of Israel left Manatee County days after the murder. (more information on the case, as reported in 2012, is listed below) * He is scheduled to be in First Apperance today at the Manatee County Jail. Detectives continue to treat the death of Ina Gross (78) as a homicide. The investigation began Monday morning (1-9-2012) after her son Tom Gross (57) called to report that his mother was dead in the garage of her Lakewood Ranch home. (11019 Hyacinth Place). Tom Gross who lives in Israel had been staying with his mother in the home for several days prior to her death. Detectives have found no evidence of forced entry to the residence and believe that this case is not related to a random burglary, home invasion or an attempt to rob the victim. Much evidence is still being processed to include: video recovered from neighborhood security systems, telephone calls, computer records, DNA and other items collected from the scene. Results of these tests could take an undetermined length of time. Detectives are still not releasing details about how they believe the victim died, pending further testing by the Medical Examiner’s Office and the processing of forensic evidence by the Sheriff’s Office.